Dinoflagellate cyst (dinocyst) assemblages were analyzed in 43 surface sediment samples from the Barents Sea. They can be divided into five major assemblage types, the distribution of which can clearly be linked to the overlying water masses. Notably, a very clear distinction between sites influenced by Atlantic water and Arctic water, respectively, is seen in the change in dominance from O. centrocarpum s.l. to I. minutum and is strongly related to sea-surface temperature. 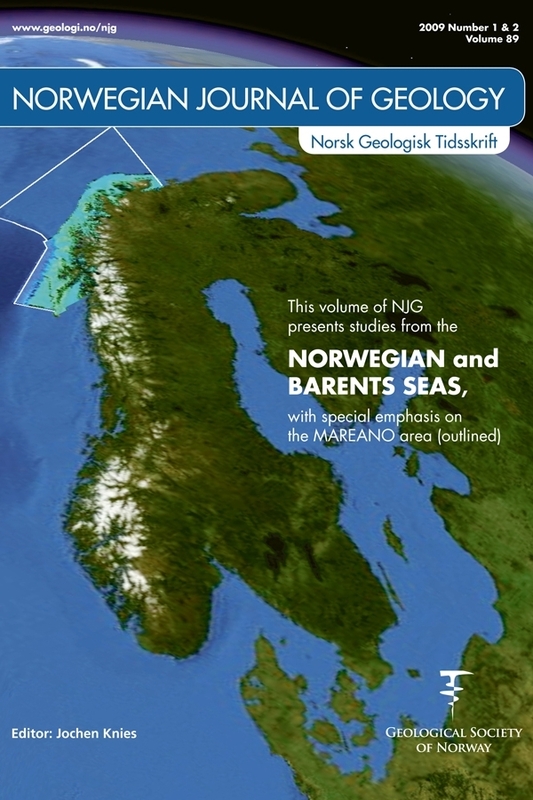 More subtle hydrographical features are also recorded in the assemblages, as can be seen from the spatially coherent distribution of the Atlantic assemblages, which allows discrimination between the Norwegian Coastal Current zone, the Norwegian Atlantic Current zone and two regions of modified Norwegian Atlantic Current waters. Here sea-surface temperature does not seem to be the primary parameter controlling the distribution of the assemblages. Multivariate analyses suggest that the assemblages are associated with the stratification and productivity annual cycles. Cysts of P. dalei seem to favour stratified environments, while O. centrocarpum s.l. might be more adapted to unstable conditions. Cysts of P. dalei are also associated with early spring stratification and productivity, whereas other species such as S. ramosus are related to late spring/summer productivity and stratification.